These little monsters just love worries! In fact the more you give them the happier they are! 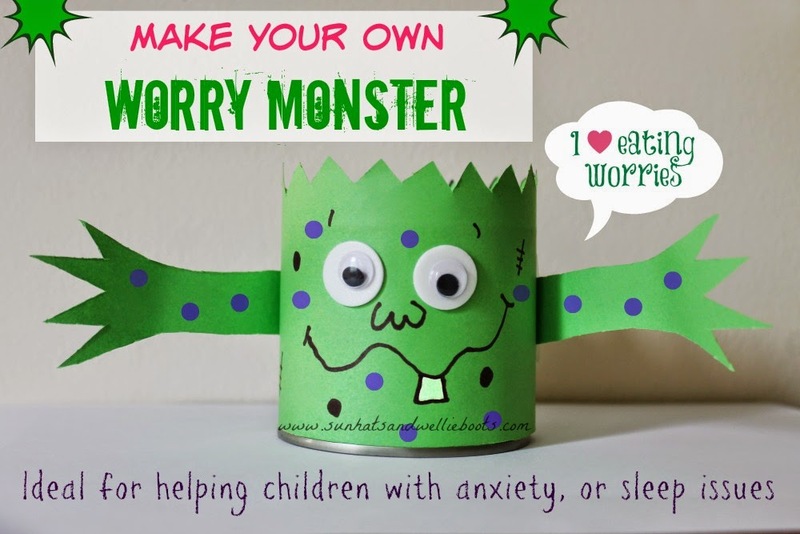 Designed to help alleviate anxiety & reduce stress in young children, these DIY Worry Monsters offer children a simple way to express & release those negative emotions. If you have a child who is experiencing anxiety whether due to a new situation, a change in a familiar routine, friendship issues, or sleeping difficulties, you'll know the impact that this anxiety can have on their life. Issues which can often seem insignificant to an adult can be momentous to a child & sometimes so overwhelming that they become unable to verbalize or even share those feelings. These Worry Monsters offer a space to let go of those anxieties & hopefully encourage children to feel calmer once again. To make each monster we used; a container with a lid, one A4 sheet of paper (we used green), sticky tape, scissors, coloured sticky dots, 2 small circles of white card, googly eyes, & pens. The neat thing about these monsters is that children can create them themselves, making each monster unique & looking as ugly, or as silly as they wish. Children's imaginations can run wild. 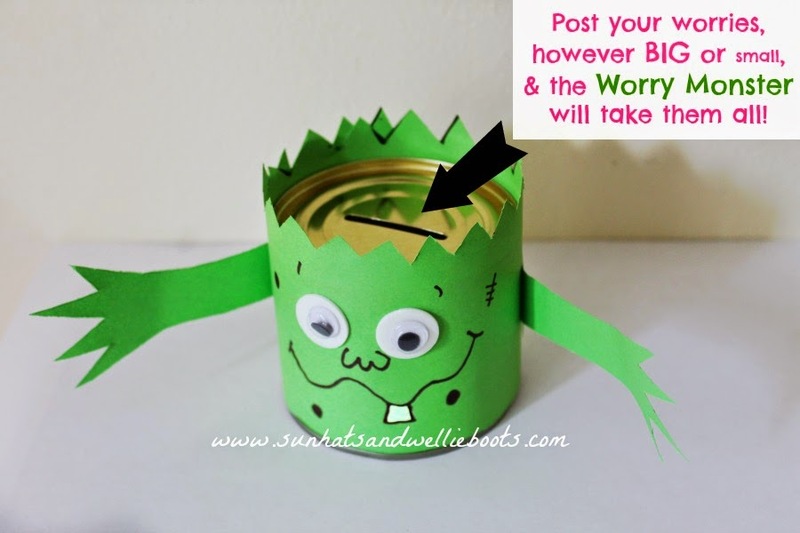 We used a moneybox style container for our mini worry monster as the top gave us a neat posting slot. We started by cutting a length of paper that would cover the sides of the can, making sure we added a 5cm boarder to the top. 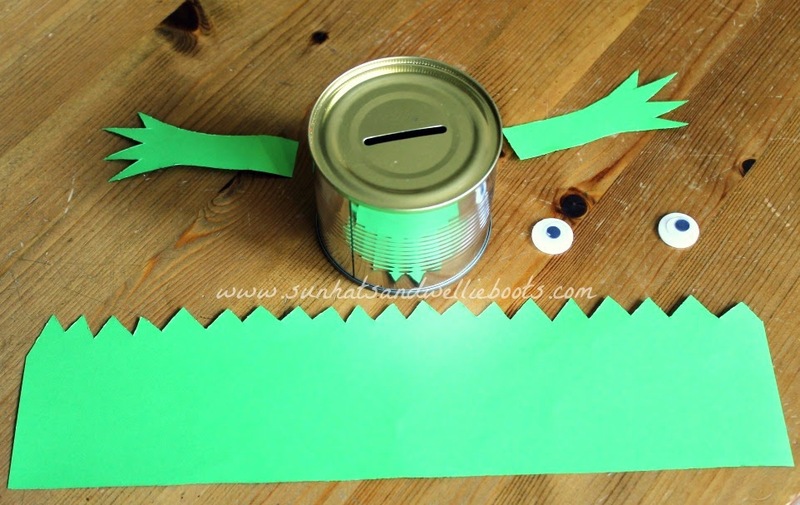 We then cut a zig zag pattern along the boarder to give our monster some spiky hair. With the remaining green paper we cut out some monster arms to add a little later. There are no specifications really for these monsters, the arms can be any shape or size. Using the sticky tape we attached the paper to the container making sure it was a secure fit. We then attached the arms in the same way, along with the two circular cards & googly eyes. 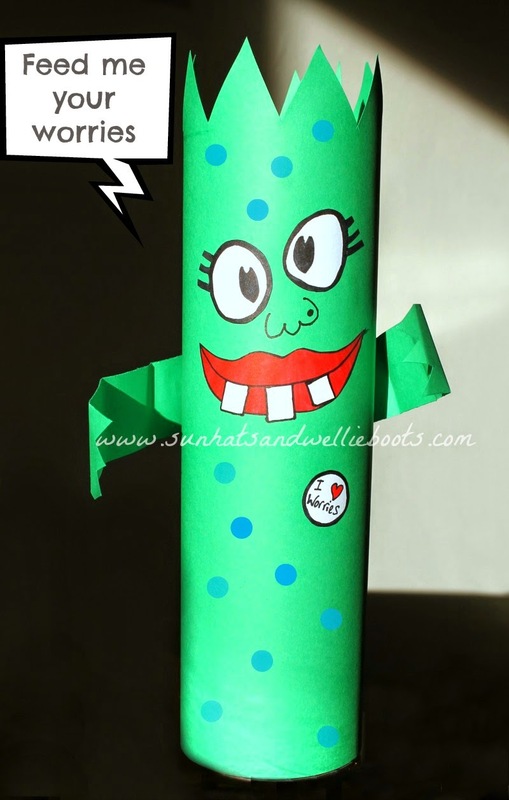 With pens & sticky dots we added a few funny monster features & our monster was ready to collect some worries! These monsters are ideal for a range of age groups, & those who are unable to write their worries independently could draw their feelings on paper. If that's not appropriate then they could always use the paper to express how they're feeling, e.g. scribble on it, scrunch it up, or even rip it up & feed it to the monster. The main thing is that their worry has been released. It's helpful to encourage children to think that when their worry has been posted into the Worry Monster then the worry has been taken away from them, hopefully instilling a sense of peace. It's helpful too to remind them that any number of worries can be added at any time, not matter how big or small they may seem, the Worry Monster is always there to eat up any negative feelings they may wish to share with it. And just like worries, Worry Monsters come in all shapes & sizes! Smaller Worry Monsters can be carried around in a bag if needed, or tucked away somewhere safe. 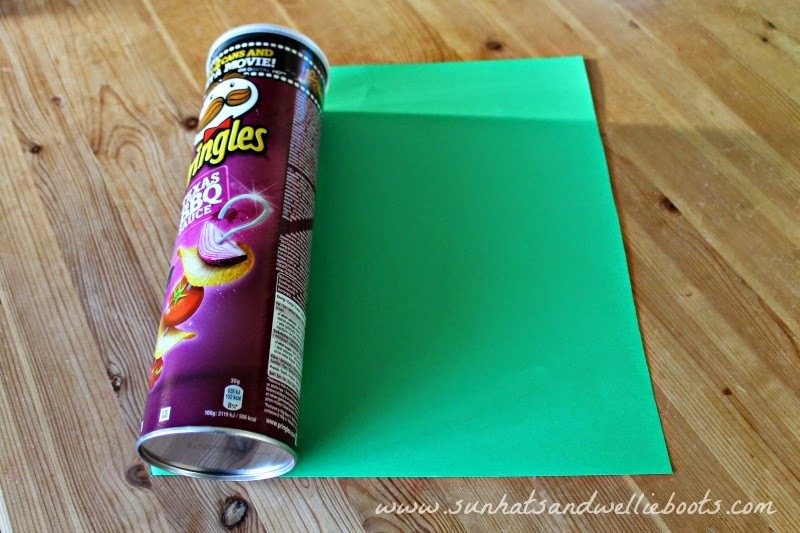 We discovered that a Pringles can enabled us to create a great big worry monster with plenty of space for lots of paper! Of course it's up to you whether you read the scraps of paper that the children post into the monster. If you do I would just think about how you handle your response. The Worry Monster offers a safe space where a child can unload & share some things which they might not be able to express verbally with anyone else. So discussing what you've found might not be the best way to help, but respectfully offering support with certain situations if needed might be more positive. I know several children who have made these Worry Monsters & now keep them under their beds just in case they have a nightmare, or worry at night. The reassurance these simple monsters can offer has amazed me. I know of one little boy who used to refuse to walk past a certain garden on the way to school because a barking dog was causing him distress. After making one of these monsters his mum told me that he was able to walk to school with less anxiety & stroll past the house with the dog when he had the worry monster in his school bag. He told his mum; "The monster eats all my worries, & they go in his tummy instead of mine." Of course these Worry Monsters might not work for all children & all situations, but they are fun to make & might just make a difference. If you found this helpful you might also like our Mind Jars or our Magical Calming Spray.